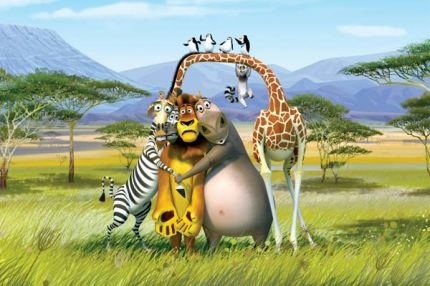 So Madagascar 3 is coming to the cinemas near me soon. And I’m re-watching Madagascar 2 and it is still as funny as the first time I watched it. “Listen Mototo, you better treat this lady like a queen. Because you… you, my friend, you’ve found yourself the perfect woman. If I was ever so lucky to find the perfect woman, I would give her flowers every day. And not just any flowers, ok? Her favourites are orchids. White. And I’d bring her breakfast every day — six loaves of wheat toast with butter on both sides. No crusts — the way she likes it. It’s true, especially the last para. Making you laugh (and bringing you breakfast in bed) is what I want to do every day. You don’t have to go around the whole world to find the perfect partner… when all you had to do is open your heart and look at me and realise that maybe I am The One for you after all. That it has always been you and me.